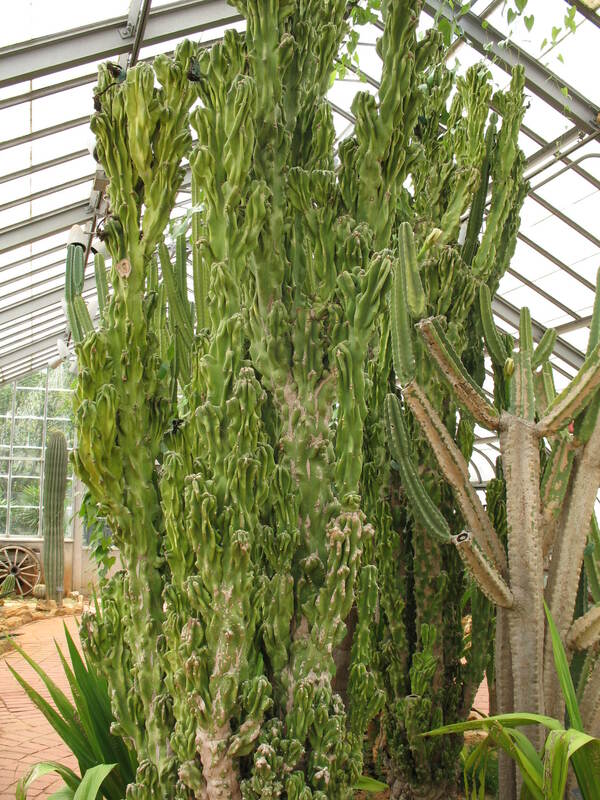 Comments: This columnar cactus, branching from the base, grows up to 30 feet tall and the clump up to 15 feet in diameter. It likes moisture in summer and dry feet the rest of the year. This cactus likes warm temperatures year round. It produces large white flowers at night which are followed by red egg-shaped fruit.